The royal couple of Japan, 83-year-old Emperor Akihito and his wife Michiko, listened to Vietnamese children whose Japanese fathers abandoned them after World War II. The symbolic meeting in Hanoi was intended to heal wounds between the two former foes. This was the first visit to Vietnam by the royal couple. It’s the most recent in a series of trips to visit former battleground countries. The two shook hands and comforted the descendants of the 700 Japanese soldiers that stayed in Vietnam after their country was defeated in World War II. Akihito’s father Hirohito had sent soldiers into Vietnam while it was still a French colony in 1940. 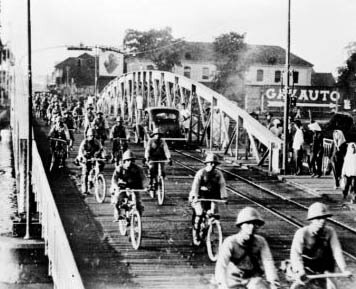 Japanese troops entering Saigon by bicycle in 1941. After the war, many soldiers remained behind in Vietnam, married Vietnamese women and raised families. They worked with the revolutionary leader Ho Chi Minh as he fought for independence from France. In 1954, the Japanese soldiers were ordered to return home by the Vietnamese government. They were “encouraged” to leave their families behind. The half-Japanese children were subjected to harsh discrimination, and their mothers had to raise a family alone while facing criticism for having relations with members of an army that had occupied their country. 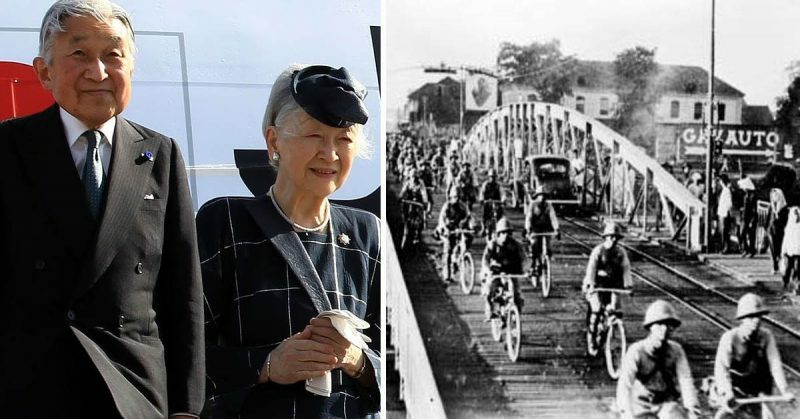 After listening to the tearful stories, the emperor said that he understood that the families of the Japanese soldiers had suffered many hardships. 94-year-old Nguyen Thi Xuan said that she was grateful for the royal couple’s attention. Xuan raised three children alone and never remarried. She said that war had done nothing for them and expressed hope for peace in both countries. Tran Duc Dung’s father trained Vietnamese troops during the war. He said that he was eager to forget the troubles he and his families went through. “It’s time to close all that happened in the past,” he said. His hope is that he will be recognized as a citizen of Japan. 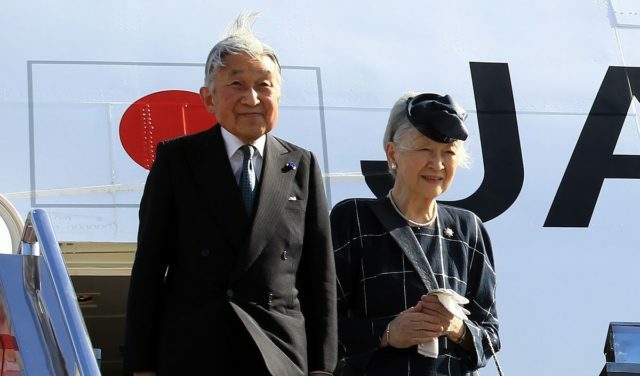 Japanese Emperor Akihito and Empress Michiko. There is personal symbolism in this trip for Emperor Akihito. His father, Hirohito, was considered a god by his followers. During his reign, Japan undertook a rapid and brutal colonial expansion policy across Asia that still affects their relations with other countries. Diplomatic relations were re-established between Japan and Vietnam in 1973. Since then, relations have warmed between the two former foes with business ties and an increasing wariness of China bringing the two together. Japan is now the largest donor of aid to Vietnam and a top investor. Thousands of Vietnamese students travel to Japan to study every year, South China Morning Post reported.